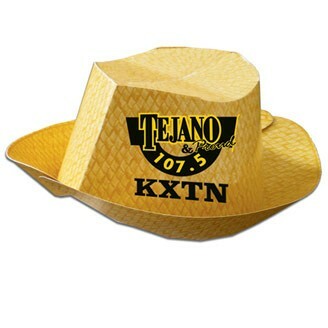 Straw look novelty hat sure to get you noticed at any promotional event. Made from 14 pt., high density, white paper board, liquid laminated for a high gloss finish. Large area to display your custom message or logo. USA made. Quick turn, just ask. Shipped flat with minimal assembly required.